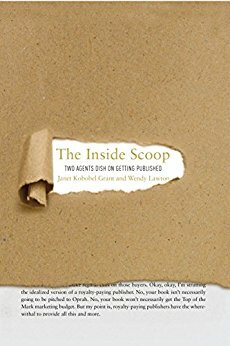 Last night, I had the immense pleasure of listening to Janet Kobobel Grant and Wendy Lawton, literary agents at Books & Such, discuss the publishing world and their new book, The Inside Scoop: Two Agents Dish on Getting Published. Their presentation and responses to questions were extremely helpful, gracious and humorous. I highly recommend picking up a copy of their book, or better yet, attend a conference they will also be attending and seize any opportunity you can to listen to their wise, warm advice. The point they made that I wanted to highlight for you today was in response to the question, "What makes a book specifically Christian?" Ms. Kobobel Grant explained that a Christian book will have a "faith arc," just as it will have a story arc. She said a faith arc is "a faith journey for the protagonist, braided beautifully within character and plot." She also gave an inspiring reminder that God calls us all to servanthood. She said "we are all servants to our readers." Hearing her words was a timely reminder of the perspective we should have as we are writing. No matter what stage of the process we are in, writing is a calling. Once God has called us to write, we need to pay attention to our own faith so that we can develop the faith of our characters. We also need to ask ourselves, "How can we be servants to our readers?" If we aren't published yet, we can ask ourselves, "How can we be servants to those in the process with us?" Have you ever thought of writing as servanthood? What is one way you could serve your readers, or writing colleagues? I had forgotten about that book! I enjoy reading the Books & Such blog. Guarding my own mind and spiritual walk has been on my mind for a few months. Writers can have tremendous influence on readers. We have to be make sure we're where we need to be spiritually for our own sake and so we won't negatively influence our readers. I've never thought of writing as servanthood -- it's a good aim. I usually try to be a reader-focused writer. My faith will inevitably trickle through my writing because it's who I am, but this is a good reminder to remember where our gifts came from and to remember why we write what we do. We can influence so very many people with our writing. Very nice recap to take away from a good session, Erin. This is great perspective to think of writing as service we are called to. Thanks for a great post!